At TS Freight we put the customer first, and therefore the international container shipping services that we offer for goods import from China to Switzerland are custom designed to suit each customer. Whether you are a big business or small, and whether the size of your cargo imports is large or small, we will help you transport it from China to Switzerland in the quickest and most affordable way possible. We can transport your cargo via Air or Sea to several major ports in Switzerland including Geneva, Zurich, Basel, Lausanne, Bern, Lucerne etc. We have links with several top carriers on the transport route between China and Switzerland, and this network enables us to source your goods from any major Chinese city including Shanghai, Ningbo, Xiamen, Shenzhen, Guangzhou, Hong Kong etc. We have been a part of the Chinese international freight transport industry for over ten years, and this has given us great insight into the requirements of customers and the elements of freight logistics. Our reputation for high standards is a result of close cooperation within our body of staff and we also cultivate an eye for detail that enables us to monitor your cargo shipment and follow it from sourcing to delivery with the greatest efficiency. When you work with us for your imports, we take over the tasks of cargo pickup from the shipper through handling and customs to delivery at your destination city. Customs procedures are mostly handled by us to leave you hassle-free. While the cargo is on its way to you, our staff constantly monitors the cargo to ensure as few errors as possible and ensures that we can get your import shipment to you in time. 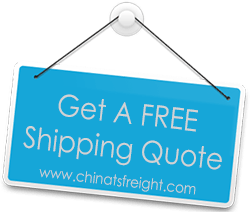 If you require cargo shipping from China to Switzerland, you can call us or email us and we will offer you a quote and advice on the best transport plan for you.